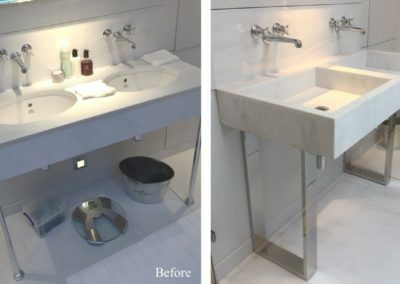 The client approached us to create a brand-new bespoke solution to replace the existing washstand in the master bedroom’s ensuite bathroom. 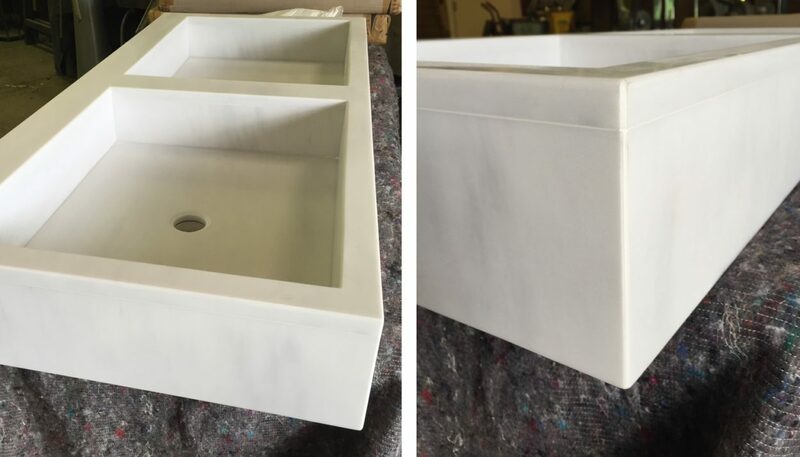 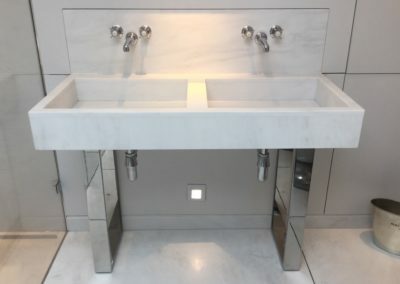 The clients’ preference was for a more contemporary, sleek design which would retain the original washbasin’s marbled wall panel which housed the water feed and taps. 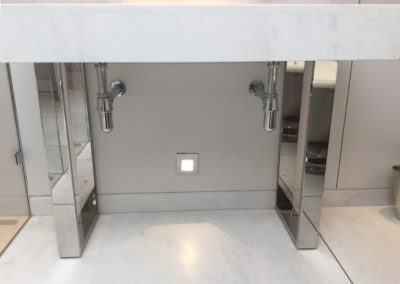 Having also created the original wash basin’s leg supports, our team set about designing a pair of even more simple, elegant yet industrial style supporting legs, which were completed with a polished nickel-plated finish, giving a beautifully high-glossy shine. (Polished nickel is a much more gentle finish compared with, say, chrome. 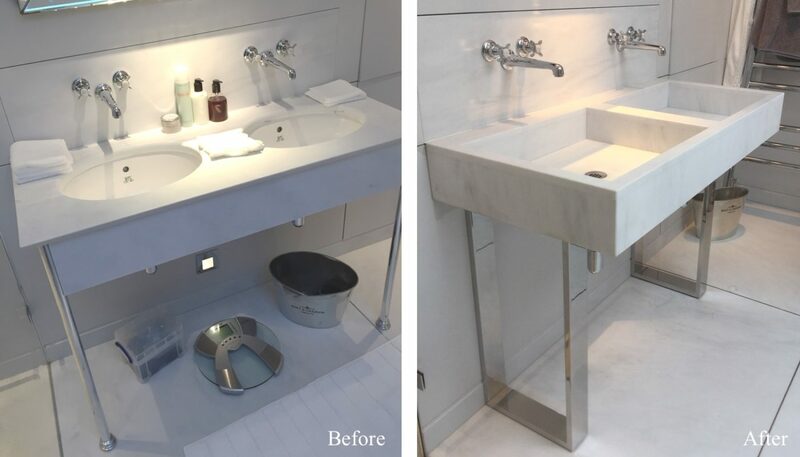 The nickel gives a softer, warmer colour where as chrome is often much cooler and more blue.) 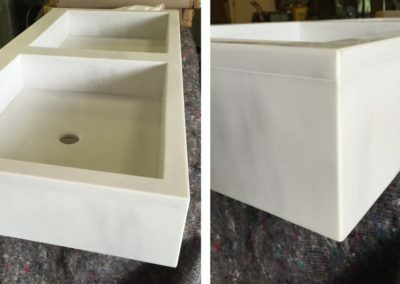 The rectangular frame style legs were teamed with a made-to-measure marble sink unit, designed to mimic the square lines of the legs. 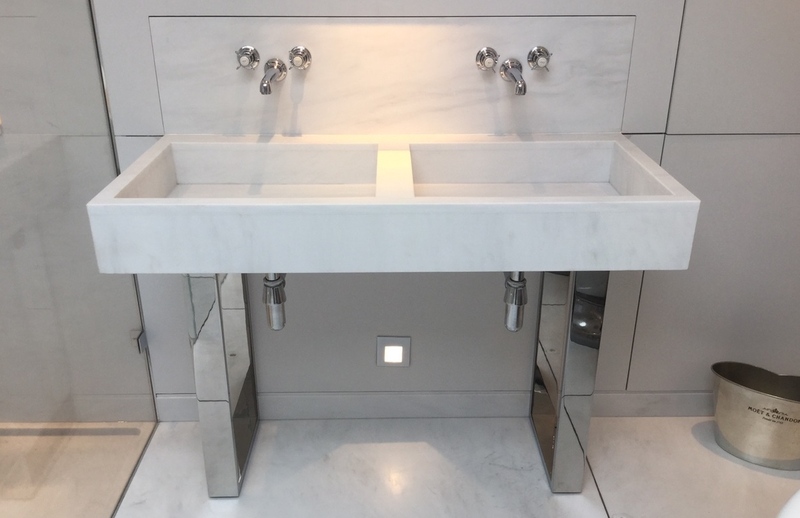 If you have a bespoke project similar to this, please get in touch to see how we can help.